The current buzz in unit trust seems to be on those funds that are investing overseas. I totally agree with you on point #1. Investing in stock is to have good understanding on the company perfomance while investing in unit trust is much on the understanding of the fund manager. Usually you need to know his background, experience and his achievement in the investment field. However the questions is even he is successful in Malaysia market, how good is he in foreign market. This is the risk. For me, I felt that if the fund manager have strong basis of investment knowledge and philosophy plus a bit research and flexibility, he will have chance to succeed.....but in the end you still need to trust this person. Sometimes in this world, we just need to trust people after we have understood them, we are not expert in every field! Secondly I would like to comment that most equity fund charge 5-6.5% because the fund manager need to do more work to monitor your fund while bond fund is usually 0.25%. When the market is good equity fund usually yields better return than bond fund but sometimes bond fund might better. A good agent will advice you accordingly with the situation of market regardless how much they earn. The agent will earn around 3% if u invest in equity fund while very few in bond fund. I would say investing in overseas market is a good opportunity for us. Sadly to quote that Malaysia has the worst performing market in year 2005 in the region. I would advice you to look to the performance of Korea, Indonesia, Japan market that has perform very well recently. Rather than put all egg in one basket, we have chance to diversify our investment in multi-national market. Before you start invest, of course you need to know where the fund manager is investing. Sometimes, new fund is risky too. It's very true. The newly launched trust funds that invested majority of their funds overseas seemed to picked up rather fast since it's launched. Somehow, I monitor one of them to have gained almost 1% in less than 2 weeks with initial offering at RM0.50. Reason that I didn't buy it is due to the fund managers performance last year. Most of their funds lose $$$ as they invest in local equity market but wonder how some Public Mutual funds that invest similarly in equities actly get 4% to 5% when the local market are so bad. However, that meagre return still failed to pay the initial fees. Huh...last year really a tough year! Mayb we should take some calculated risk when venturing into new funds. The info is so limited initially. Can we rely solely on fund managers' track record in this case? The duration recommended for unit trust is usually 3-5 years to cover the initial charge. Most of the unit trust have -ve profit last year since you mention the fund still can gain last year, I believe it is not a bad fund after all. Depends on the fund, Anonymous. Some are medium term n some are long term. I dun believe I have seen any short term ones yet. I am not sure the fund info u see was when. I think there are many factors can affect your gains, for example what Julez said depend on when you buy and when you sell. That's why unit trust agent always ask investor to do dollar cost averaging if you are not expert in jufging when the market is high or low. But if you just want to compare unit trust performance, you can just go to Lipper website. They have comparison of funds within the same categories for 1,3,5 and 10 years. THis year Public Mutual still top the Lipper award by getting 12 out of 20 awards. I noted tat the SmallCap funds are at its low now... None of them are at positive yield! So, another question here is since the small cap funds are at a negative level compared to previous year, is it a good time to buy the fund? Thanks both Julez and Anonymous. Perhaps it's right to keep the funds as mid term investment vehicle. Shall keep them for another few years then. Btw, which funds from Public Mutual would you all suggest? I saw they have new funds like Public Far East. Any idea? 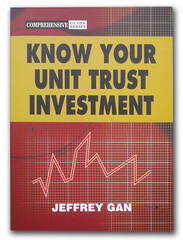 Yes, I agree that unit trust is recommended for mid to long term investment usually at least 3 years. Another reason why we should invest long term is to reduce to impact of initial service charge which is usually 5-7%. Let say the charge is 6% and if you invest for 5 years, each year will be only 1.2%. I think Julez method is one of the way to judge whether the fund is low or not. But I'm not sure how you get the -5%. How I compare the prices is usually comparing the price today with the average price of the whole last 1 year, 3 year and 5 year rather than a day in last year. BUt do take note you don't count in the effect of unit split or distribution to the price. I would say whether you want to invest in smallcap now is whether on which market you are interested and believe in now. People now are looking forward to overseas funds which they think would have the trend for growth. But we never neglect the opportunity of smallcap which is more risky that might yields higher returns. It means you should go for your market category preference after research, contemplating expert view on each market category, and your risk profile. I obtained that figure from Star Papers when they showcase unit trust awards. I do agree that one should choose the fund that suits his/her risk profile, needs & etc not based on current trend. That's why so many different types of funds are out there in the market - to cater for everyone. There could at times be forgotten 'jewels' that most people had forgotten as they jumped aboard the band-wagon. Public Far East is a fund investing 70% in asia while 30% in Malaysia. I would say the fund is still new and we cannot really judge the performance yet. But talking about overseas investment, it is really a good opportunity as RHB and Prudential that had introduce Asia funds half year ago already gain around 10%. There is also one new fund Public Regional Sector which will launch end of March and is offering 1% extra units for investors. For Malaysia fund I would think Public Equity Fund is good for high risk investors while Public Ittikal is very stable for moderate investor. Thanks pal. Shall try the Public Far East for the moment. How about bond funds? So, do you think this year equities or bond going to perform? For bond funds who is still stable after 5 years is Publc Islamic Bond Fund with average 7-8% a year. Other new emerging funds are Ambank Dynamic Bond and CIMB Strategic Income Fund that perform >8% last year. 1. What is a Unit Trust Fund? 2. What is an Asset Management Company? 3. What are the different types of Unit Trust Fund schemes? 4. What is a Prospectus? 5. What is the Net Asset Value (NAV)? 7. Are investments in Unit Trust Fund units safe? 8. What are the Risks in a Unit Trust Fund? 9. What are the benefits of a Unit Trust Fund? 10. Do Unit Trust Funds assure returns? 11. How do you make money in a Unit Trust Fund? 12. What are the tax benefits for investing in Unit Trust Fund units? 13. Who should invest in Unit Trust Funds? 14. As Unit Trust Fund schemes invest only in stock markets, are they suitable for small investors? Those are reasons why you need to have these books. • To provide minimum level of knowledge, information and understanding of what unit trusts are all about. • To cover the minimum technical knowledge of the nature, behavior and characteristics of unit trusts. Public Far East gained shoot up 5%. THis made the fund gain 6.7% since launch in Dec. Thanks to Thaksin who finally willing to resign. Other than Thailand, all other regional markets also gone up. This are due to the strengthen of Asian currencies against the USD. KLCI had break 940 points. How much will it go up to? Will 9MP helps to boost it? Any one who is buying other overseas funds, pls share the results. Thanks. AIA’s first full-fledged foreign equity investment-linked fund, Asia Platinum Fund (PF) will be available from April 24, 2006 onwards. AIA fund managers would actively manage the percentage of holdings for each of these three funds from time to time. This Fund will also invest in Global Emerging Markets' securities from time to time as a buffer against adverse investment climate in any of these three regional markets. if you need more infomation pls PM me, criticism and comment are welcome =) thank you! There is an AIA agent called me that AIA offers a fix rate of 5.89% for home loan. With the BLR raise to 6.75% and might even go up higher in future I think this fix rate offer by AIA is a good deal. Do you have any information on this? sorry for the late reply... AIA is offering 5.89%pa for special people ( existing AIA life policy holder who bought it before 1st Oct 2005 & also to approved corporate staff loan) and 6.25% open for the public. Correct me if I am wrong... For people who invested in US stocks, the will loose out in terms of forex when converted back to RM. But those who invest in S'pore, Thailand, South Korea and Japan will gain in terms of forex when converted back to RM. Have been noticing at the papers lately that the asian region is badly hit by huge drop of stock market, especially in countries like india. So, was wondering, how's your overseas unit trust fund performing? I noticed that papers show that our Malaysian stock market is not that badly hit when compared with overseas one. That's good. 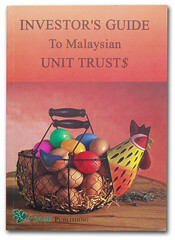 but for those who invested overseas thru unit trust, how did urs perform? I start investing in fund 1 year ago and still learning. Why I invest in these fund? I have no idea as I am still very new in fund investment. I buy based on the recommendation from the bank. List of my fund and performance after deducting the initial fees. I heard that bond prices now has gone down and may continue to drop if US increases interest rates. Five points a day, keeps you out of harm's way. Return from bond is not that good for me for the time being. Is about 1.95% per annum, it is better for me to put in FD. Is Prudential Bond Fund. It gave me 1.76 % return for the duration of 329 days. That about 1.95% per annum. Luckly there is no initial fees else it could be worst. These people should be shot! I just can't understand... Bonds generally would produce an ROI of >4% to the company. How come they can loose that much $$? Get to know the fund manager's name and next time, check who is handlin the fund you r investing in. I guess I invest in the wrong timing. I am confidence that some of my oversea fund will give good return in another 3-5 year. I am only buying newly launch fund for the time being, Is it a good way of investing?? or I should also look into existing fund? I invest through bank, their service is quite good and I can track my fund performance everyday online. I prefer to deal with them since they gave me 2% extra unit and there is no penalty on my FD interest if I use my existing FD to invest before maturity. 1.76% is definitely a bad deal. Unless there is some other compensation e.g. redemption premium or a purchase discount? if you want 1.76% returns, I d suggest you buy dividend stocks, they pay higher ROI and some of them are as solid as a rock. "Hwang-DBS Investment Management Bhd (HDBSIM) is targeting an annual investment return of 6% to 8% with its new capital protected Hwang-DBS Greater China Structured Fund (GCSF). " Looks pretty interesting.. But returns are too low if one invests in China... Wat do you think? Do you know the best oversea fund lately published by Lipper? There is a top 10 and botom 10 list published in the report. The 1st. foreign fund launched in Malaysia is actualy MAAKL Pacific Fund, give 5.63% for 1-month return in Aug-06. Note: There are 10 more MAAKL Mutual funds performing more than 15-33% for latest 1-year return. Should you interested, contact me at HP# 012-4317538. Hopefully you enjoyed reading and welcome to come back to me should you have more question. Wow...MAAKL Pacific fund returns 3.4% (2.4%-30/11, 1.01%-1/12) for the past 2 days. It seems that OSK-UOB's fund has been performing well this year. What do u all think?? wat is so special about it expect we are charged ^ high management and entrance fees? The problem with cut loss is, easy to say hard to do; the problem with let the profit run is, most often, the profit only run 100m, not the 400m as you expected.